Valentines day conveniently falls on a Saturday this year. Whether you plan on showering your loved one over the entire weekend, for one romantic evening or maybe just for an afternoon, Montreal has as array of romantic remedies to fill your time. Located in the Old Port, Le Bremner is tucked away, down a short staircase on Saint-Paul Street. 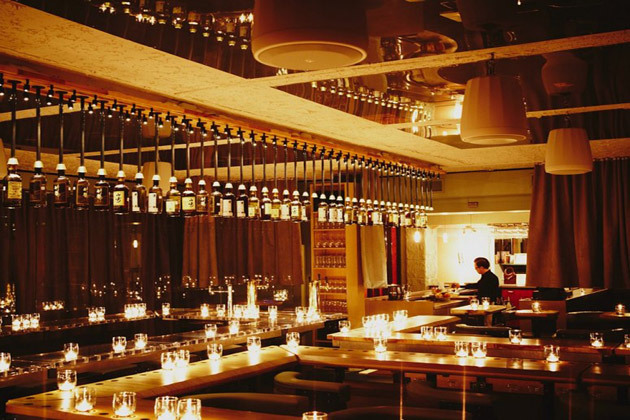 Owned by the celebrity chef, Chuck Hughes, it’s a casual fine dining restaurant with an intimate ambiance. The place is dimly lit with candles and decorated with a rustic chic décor of wooden tables and chandeliers. Enjoy a gastronomical experience of eclectic seafood comfort food and choose a nice bottle of vino from their list of private imports. Big in Japan Bar is subtly located four blocks north of it’s partner restaurant Big in Japan on St.Laurent Street. There is no signage on the entrance door, simply look for the black door with red marking and step in. This is the perfect spot to impress your date for Valentines Day as it has an exclusive underground feel, is undeniably romantic and is just a very cool spot. Sip on a bottle of Japanese whiskey or choose from their sophisticated list of cocktails. The bar also offers a small menu of delicious Japanese food to munch on. You can never go wrong with good Italian food. Vicolo is a fairly new spot located downtown on Rene Levesque Street. They offer an urban Italian menu in a warm and laid-back ambiance. If you are looking for a livelier atmosphere, this is the perfect spot to take your loved one or date, for dinner and a good time. Get pampered with the one you love at a luxurious spa. Bota Bota is romantically located on the water in the old port of Montreal. Indulge in a Valentines Day package, including access to the relaxing water circuits, a three-course meal, two glasses of wine each and a musical ambiance. Throw in a couple’s massage and you got yourself the perfect Valentines Day plan. This is a fairytale classic come true. Take a horse-drawn carriage ride through the old town of Montreal and dazzle your date with the charm of riding through the cobblestone roads, cuddled up underneath a warm blanket. Chocolates and a nice card are an obvious go-to on Valentines Day. Try something different this year by getting outside and doing something a little more adventurous! Montreal’s Parc du Mount Royal has great snowshoeing trails that will make you feel like you are in a winter wonderland! Les Amis de la Montagne offer a lovely Valentine’s Day special, including a snowshoeing excursion, mulled wine and a chocolate truffle. One of Montreal’s outdoor skating rinks is conveniently located atop Mount Royal at Beaver Lake. Bring your own skates or rent a pair and spend the afternoon hand-in-hand with your loved one gliding around the ice. 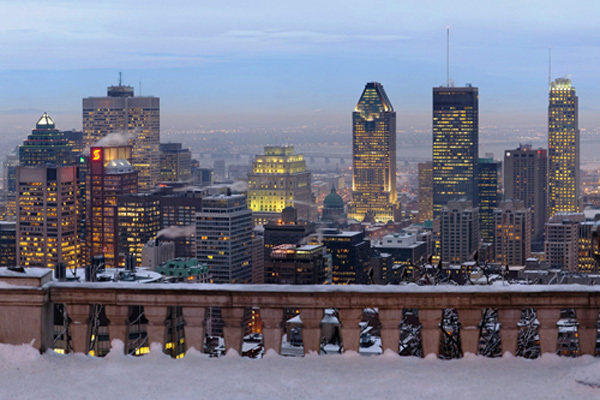 To top it off, grab a cup of hot chocolate and walk up to the Mount-Royal lookout to enjoy the beautiful view of the city. It doesn’t get any more romantic than that!